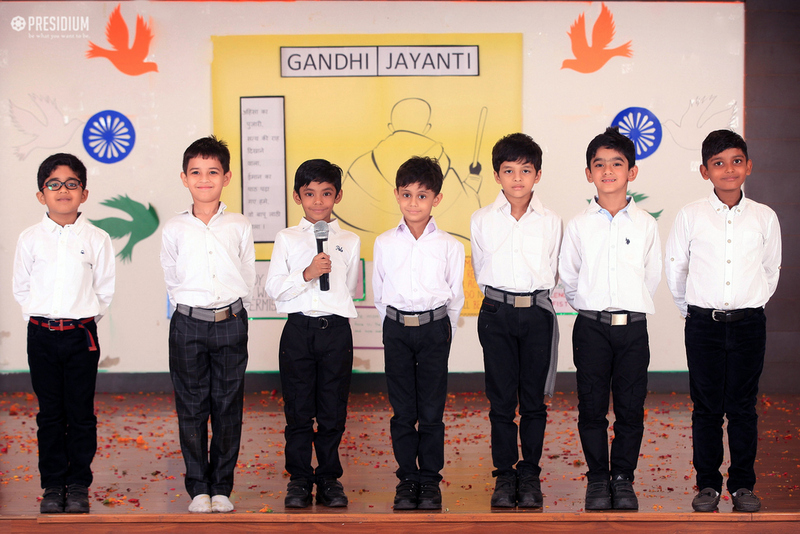 With these sentiments a special assembly was conducted on Gandhi Jayanti which began with a ‘Sarva Dharma Prarthana’ followed by the prayer song ‘Raghupathi Raghava Rajaram’ by the school choir. 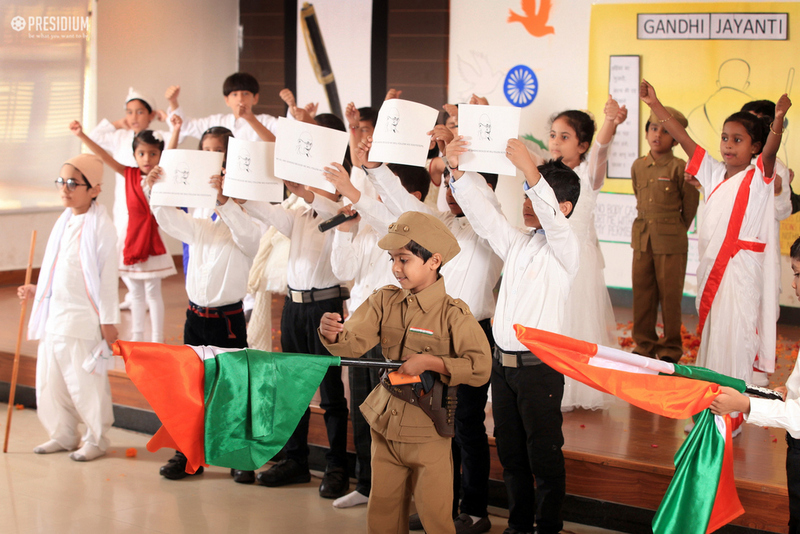 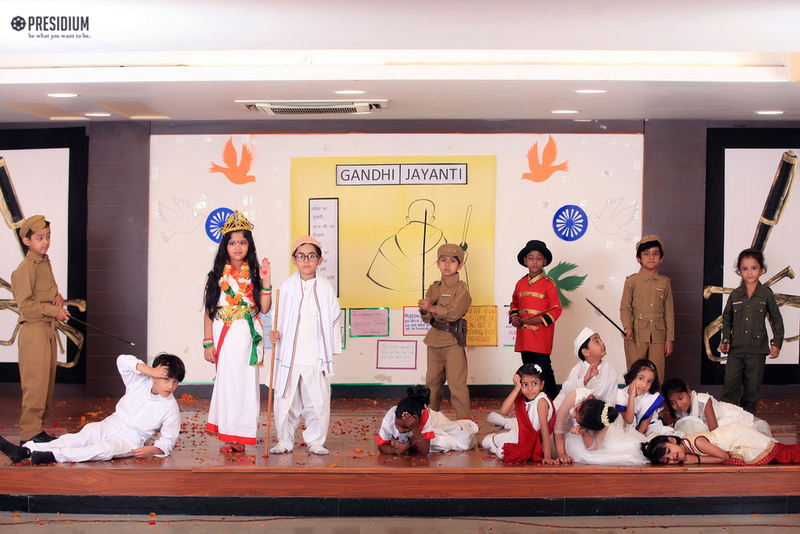 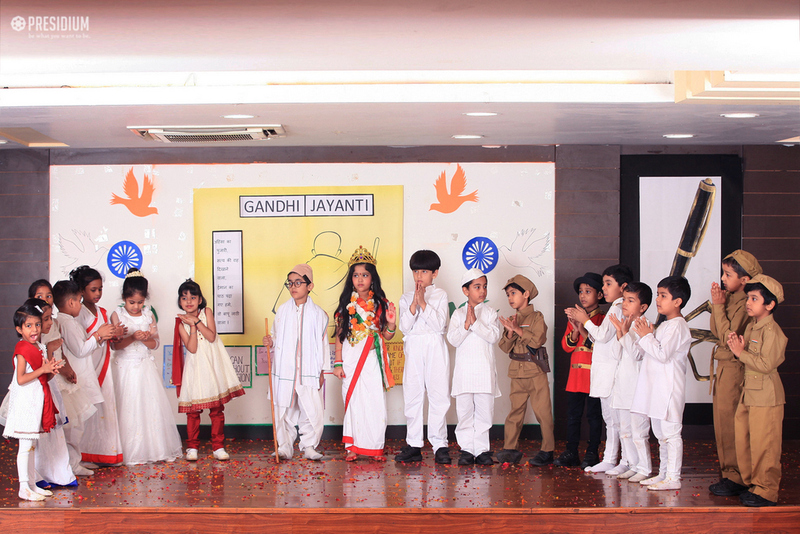 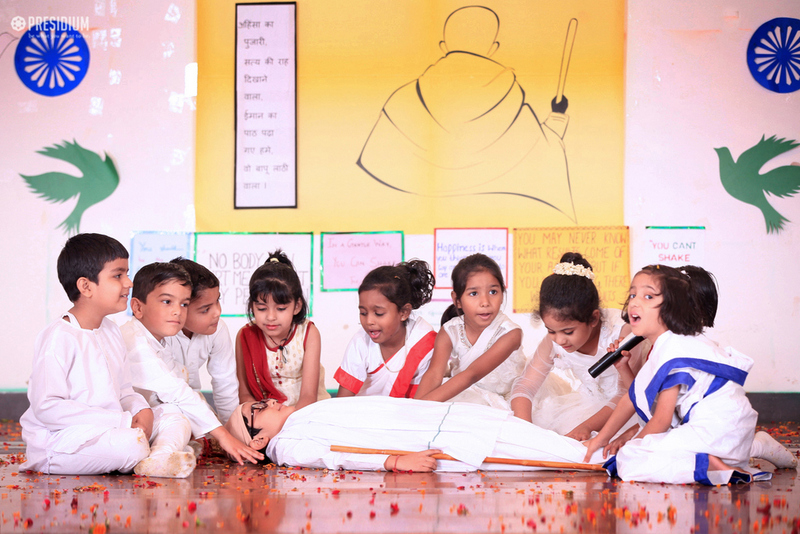 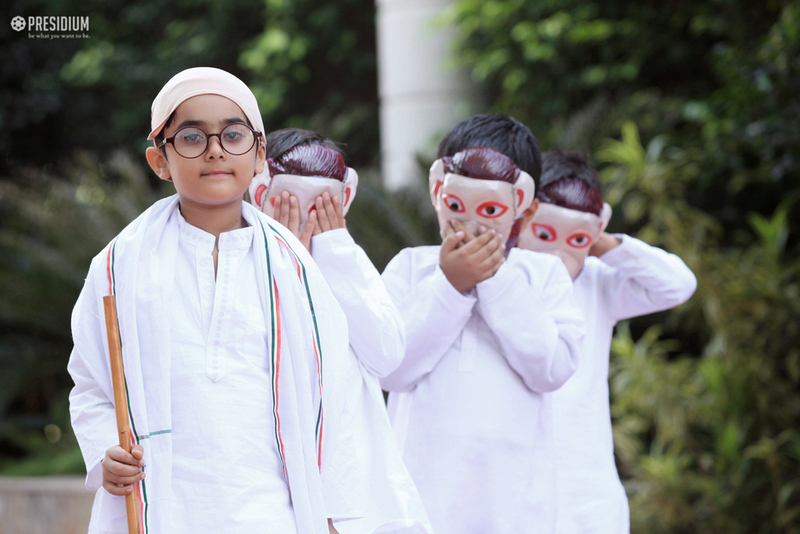 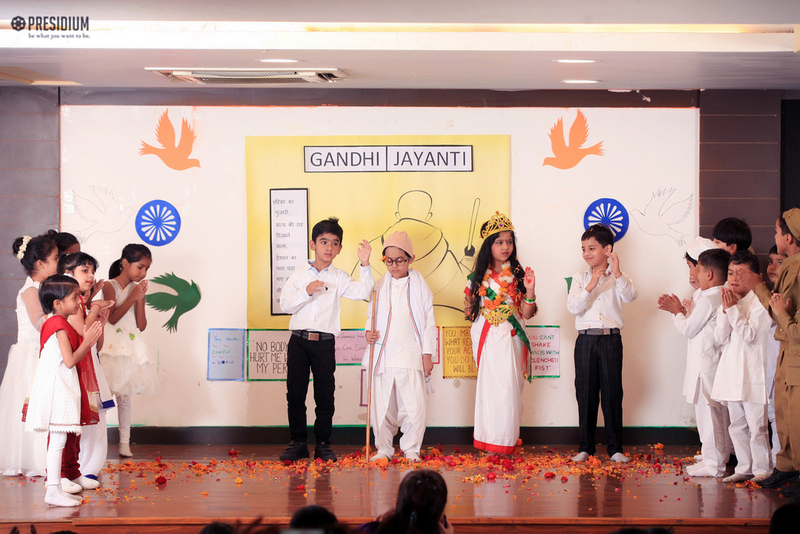 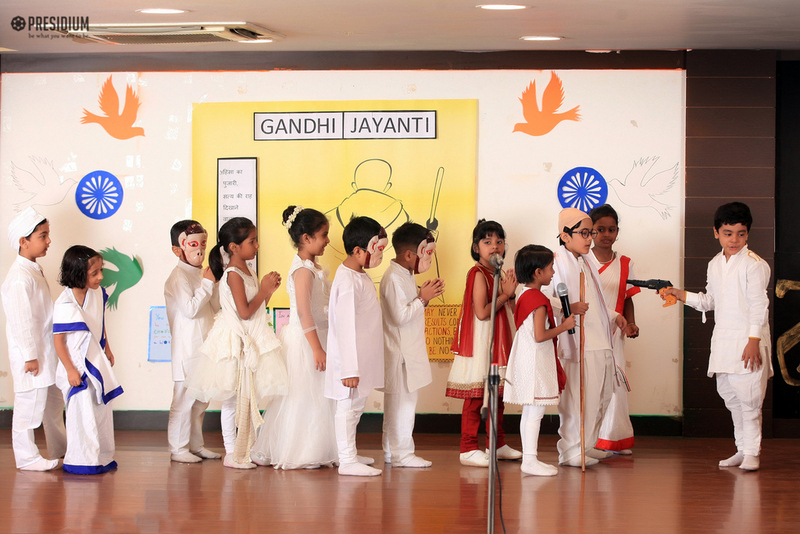 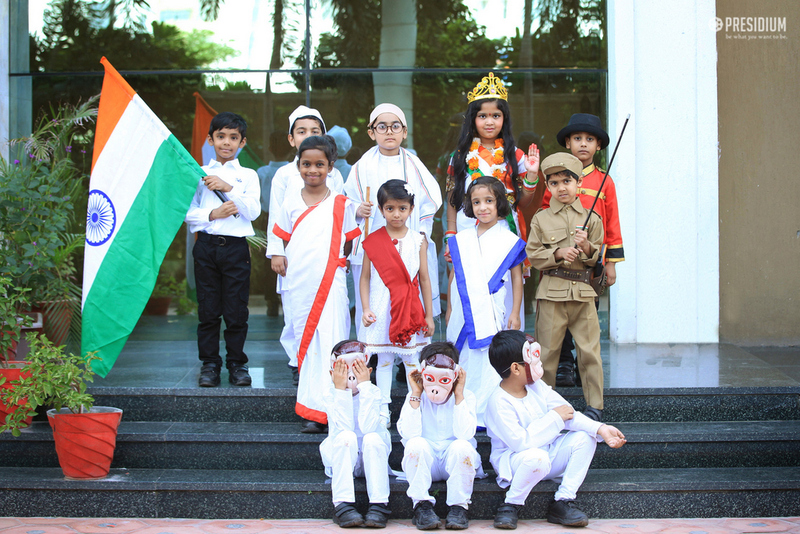 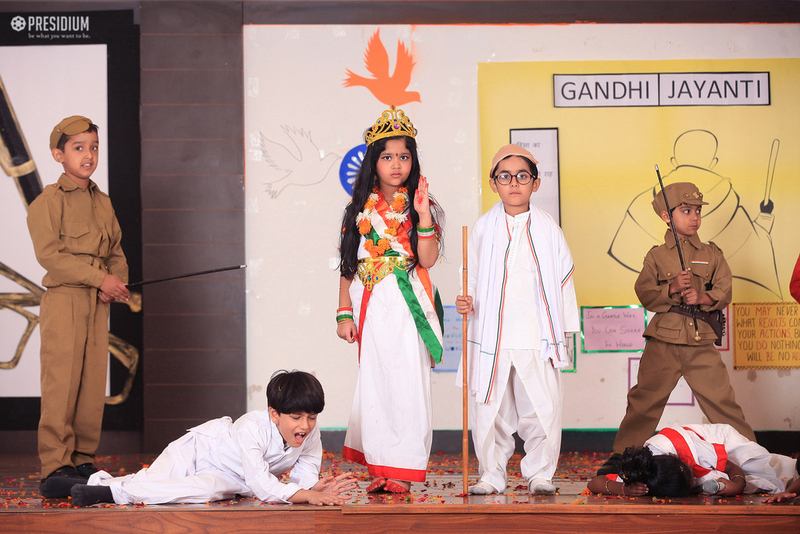 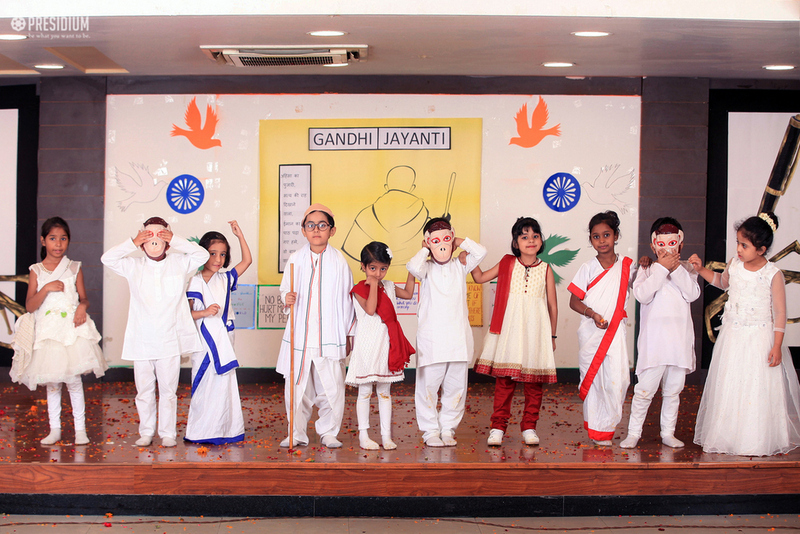 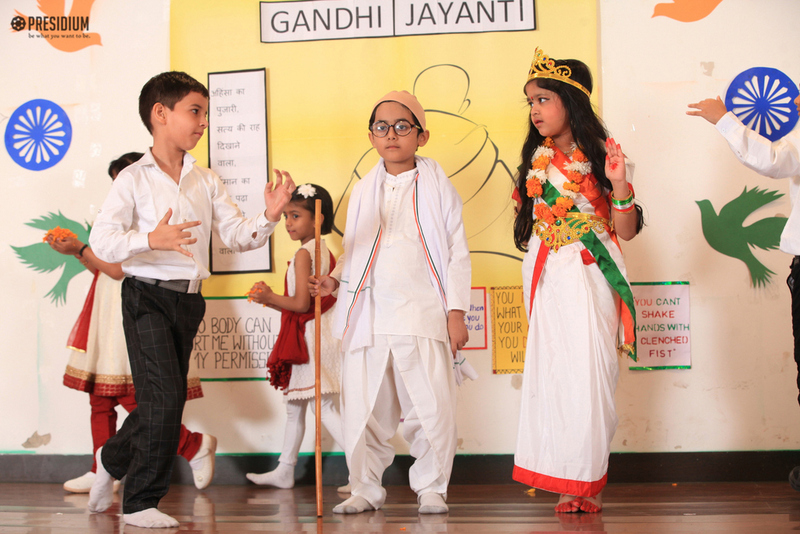 The students enacted a skit reminding the early days of Gandhiji and his leadership for freedom through ‘Dandi March’ and showed the three wise monkeys with the message- ’see no evil, hear no evil and speak no evil’. 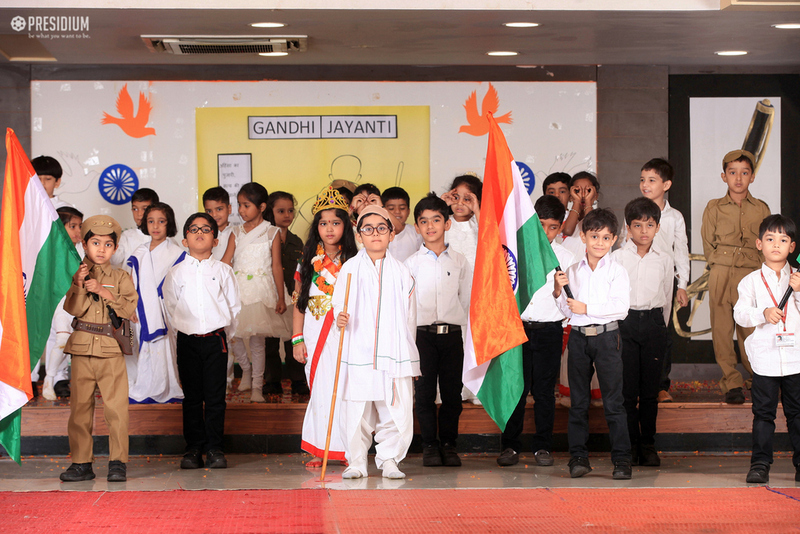 The assembly culminated with the oath of non-violence and a promise to follow Gandhi’s principles in their life.